Supercapacitor Energy Storage — AMT, Inc. 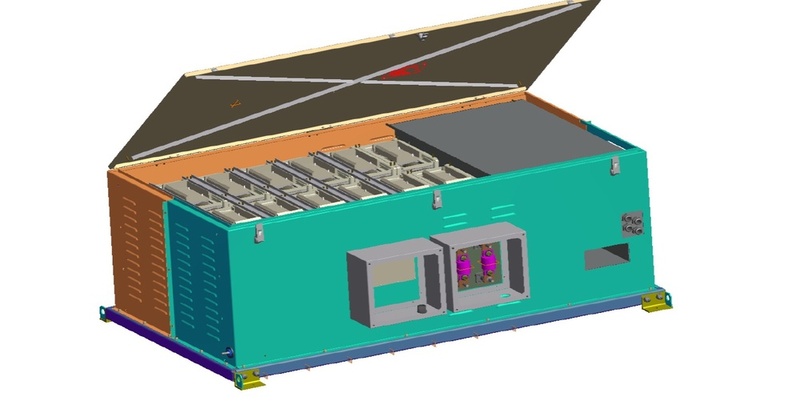 The Supercapacitor Energy Storage System (ESS) is an embedded system that captures, stores and discharges 0.7kWh of energy for use in commercial transit applications. The ESS consists of Double Layer SuperCapacitors and the required conditioning choppers and auxiliary devices to recapture and store a transit vehicle’s kinetic energy that would otherwise be lost during braking to be re-used for future departures or for the vehicle’s auxiliary power. With energy costs rising and citizens of major metropolitan areas seeking alternative means of transportation, the ESS can help lower operating energy consumption costs, thus saving transit systems a substantial amount of money. Furthermore, transit systems can pass these savings on to the customer by lowering fares and/or redirecting funds to other needed improvements. We recently fulfilled a contract with the Tri-County Metropolitan Transportation District (TriMet) in Portland, Oregon to develop and install ESS technology on 27 Siemens model SD660 light rail vehicles. This project was sponsored by the Federal Transit Agency (FTA). This regenerative braking and energy storage on the TriMet LRVs will be the first of its kind in the United States. TriMet is the first transit agency to use supercapacitors to recover energy and apply it to reduce consumption. This solution is uniquely revolutionary due to its energy content-to-weight ratio, storing 0.7 kWh of energy while weighing less than 600kg. The state-of-the-art units are operating successfully, with thousands of vehicle miles recorded and significant energy savings. This method of recapturing energy using this unique ESS can be replicated on transit systems across the nation, and, unlike similar existing concepts, the units can be custom designed to meet specific power requirements of transit vehicles and buses.